Let us share with you our stories and lessons learned while traveling the world on foot. If you would like us to motivate and entertain your organization with our insightful messages, please contact us for our availability and rates. Here are some topics we feel passionate about. 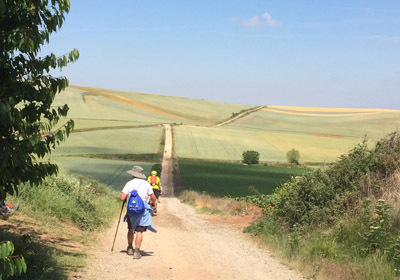 Lesson learned on the Camino – this 20 to 60 minute engaging presentation will make you laugh and really think about life. Discovering Something Is Out There – Gregg’s story of finding a spiritual connection when not looking for it. The before and after. Magic happens when we see past our differences. Please use the form below to contact us for available dates and rates.